In the first week of April, 2017, reports had crept in that a delegation of All India Bar Association met Pondicherry Chief Minister, Mr. V. Narayanasamy with a proposal to constitute a High Court at Pondicherry. The memorandum submitted by the delegation requested the Chief Minister to pass a unanimous resolution in the territorial assembly seeking a High Court at Puducherry and forward the same to the President of India, the Prime Minister and the Chief Justice of India so that the Government of India understands the importance and the urgency in the issue. After about a week, on 15th of April, 2017 the Chief Minister met the reporters on variety of issues and the least he informed about the AIBA representation is about his inclination to seek a ‘bench of the Madras High Court’ for Puducherry. For a few years now, I have tried to convince many politicians and bureaucrats to establish a High Court in Puducherry. In 2010, and even earlier, others such as the Pondicherry Bar Association have tried. During my college days in 2011, I was researching the ‘Impact of Poverty on Labour Litigants at Pondicherry’. I found that several poor labour litigants were suffering because of a lack of High Court for Puducherry. This included litigation expenses, travel expenses, inaccessibility to the advocates, among many other things. Based on my findings, I petitioned Mr. Narayanasamy, who was then the Member of Parliament, to establish a High Court. I had to answer a number of his questions about the constitutional and demographic feasibility of setting up the proposed High Court in the form of a detailed report. Given the peculiar geography, history, culture and political status of the Union Territory of Puducherry, it faces the problem of improper institutionalization, or an absence of institutions. This has impeded the citizens of Puducherry from enjoying several rights which they would have otherwise cherished. Puducherry was merged with the Republic of India as a Union Territory on the 16th of August 1962. Soon after, the Constitution of India came into force and the territory had to be kept under the jurisdiction of a High Court. The jurisdiction of the High Court of Madras was then extended to Puducherry. Puducherry is the only Union Territory with special status of having a legislature and executive under Article 239A of the Constitution of India. The rest of them have attained statehood. Whenever a proposal demanding statehood for Puducherry is sent to the Parliament and the Government of India, demand for a separate High Court form part of it. In 2014, while inaugurating one phase of the Combined Court complex at Puducherry, the Chief Justice of the Madras High Court turned down Chief Minister Rangasamy’s request for setting up a High Court for Puducherry. He said that Puducherry was just a Union Territory and that it had a small population and a tiny territory. The Constitution does not disentitle a Union Territory from having a High Court.Instead it provides under Article 241that ‘Parliament may, by law, constitute a High Court for a Union Territory … for all or any of the purposes of this Constitution.’ It is under this provision that the High Court of Delhi Act, 1966 was passed to establish the High Court for Delhi, which is one of the Union Territories. Puducherry always had special status under Article 239A of the Constitution ever since the territory’s merger with the Republic of India. Significantly, Delhi was provided with a territorial legislature only after the Constitution (Sixty Ninth Amendment) Act, was passed in 1991 but the High Court was established way back in 1966. Small States like Goa, Sikkim, Manipur, Megalaya and Tripura with equal or smaller populations than Puducherry have High Courts. The data collected under the Right to Information Act, 2005 from the Courts at Sikkim, Manipur, Goa and Puducherry are provided in the following Table. The Table shows the number of cases filed and number of cases disposed of by the District & Sessions Courts of the States (which have a High Court/permanent bench of High Court) in the year 2010. The number of cases filed and disposed of at Puducherry is almost 4 times higher than the other 3 states combined. If High Courts in the States of Sikkim, Manipur and Goa can function efficiently, the proposed High Court of Puducherry can certainly function with more efficiency and viability. The size of population and territory is irrelevant. Bigger States have more Judges and staff, smaller States don't have as many. Even the statistics shown by the AIBA in its memorandum submitted to Mr. Narayansamy suggest the same. The people of Puducherry have to approach the High Court of Madras to file petitions just to safeguard their fundamental rights. This increases their financial inconvenience thereby acting as an impediment to their interests. The Justice gets delayed since there are several cases pending in the High Court of Madras. Anyone living in Chennai can approach the High Court of Madras with Public Interest Litigations challenging unlawful acts of the State of Tamil Nadu. But PILs from residents of Puducherry against the Government of Puducherry involves travel, time and expense. 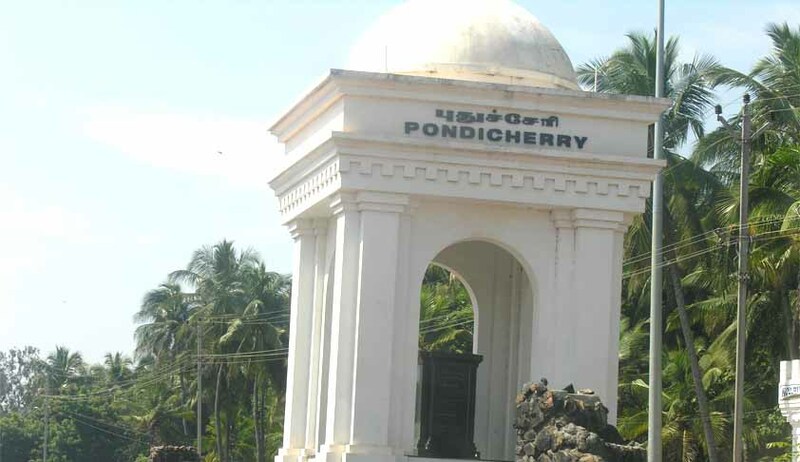 Pondicherry already has several Justice delivering bodies, quasi judicial authorities and other State level agencies like State Consumer Dispute Redressal Commission, Labour Courts, Child Welfare Committee etc., for which only States are entitled to. In its judgment dated 15/05/2014, the hon’ble High Court of Madras has directed the Union Government to set up appellate authority under Air (Prevention and Control of Pollution) Act and Water (Prevention and Control of Pollution) Act. Similarly, there are also Government of Puducherry undertakings that include PASIC & PIPDIC just like other State Governments have. Establishment of a High Court for Puducherry will strengthen the voice in seeking statehood for Puducherry. There is no legal impediment in setting up the High Court. The Government of Puducherry has been spending close to Rs. 75 Crores per annum for the maintenance of the High Court of Madras as a ‘State’ unit like Tamil Nadu. This expenditure can be halved with a separate High Court as the number of Judges, staff, Court halls etc., would be less than one quarter of the High Court of Madras. In fact, according to Article 231(2)(c) of the Constitution when a common High Court is established for more than one State, administrative expenses have to be paid only by the ‘State’ in which the principal seat of the High Court is situated. When this was issued by a PIL activist R. Sreedhar before the High Court of Madras, the Court simply dismissed the same without even admitting the case. If a High Court is established at Puducherry, not only would this expense be less than halved, it would then be payable by the Government of India by virtue of the above said provision. Setting up the proposed High Court is also likely to provide for judicial reforms at Pondicherry.It will benefit not only the litigants but also the members of the Bar and Judicial service who will get an opportunity to become members of the Higher Judiciary under the existing Constitutional scheme. By a letter dated 30th March 2016 [ reference: No.K.11018//2016-US.I(Pt.)] from the Department of Justice, Govt of India informed me that Govt of PY has an equal role to play in setting up a High Court of Puducherry and that they have not received any such proposal from the territorial Government suggesting that the issue will be taken up if such proposal is made. Similarly, by a letter dated 4th July 2016, the Deputy Secretary to the PY govt informed the law Secretary of PY that the Ministry of Home Affairs, Government of India has forwarded my petition seeking a High Court at Puducherry for appropriate action. However, nothing has been done so far. Despite several personal appointments with authorities at the Government of Puducherry and the Government of India, and a strong legal case, little has been done. Decision to set up a bench would require concurrence from the Judges of the Madras High Court who might not prefer to keep shuttling between benches at Chennai, Puducherry and Madurai routinely. Public expenditure will be reduced and there will be more social benefit if there is a proposed High Court for Puducherry. But all of this is irrelevant to the political class. Nirmalkumar Mohandoss is an Advocate practising in High Court of Madras. [The opinions expressed in this article are the personal opinions of the author. The facts and opinions appearing in the article do not reflect the views of LiveLaw and LiveLaw does not assume any responsibility or liability for the same].